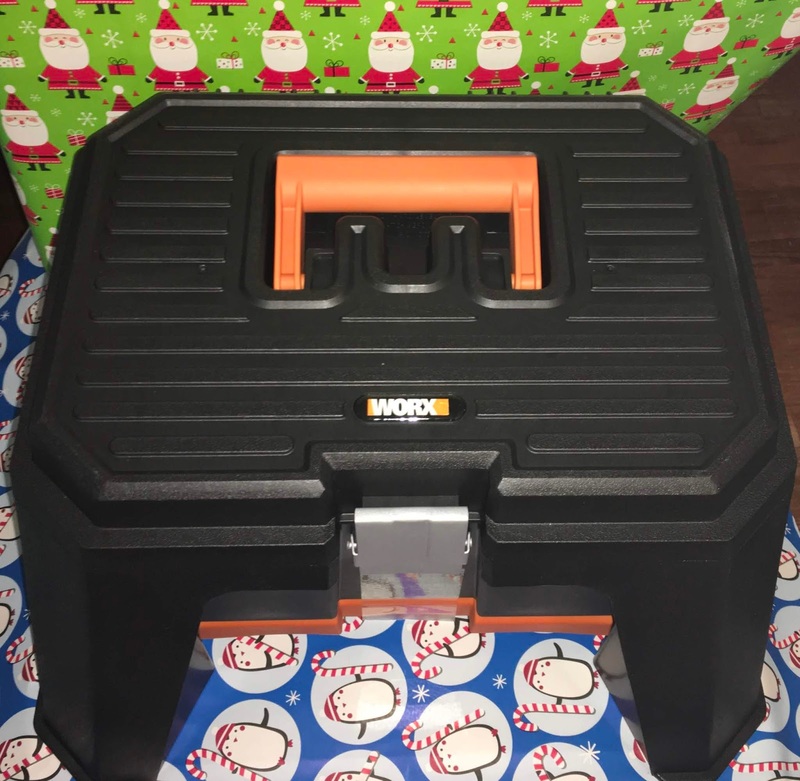 This holiday season, consider gifts that provide solutions like the new WORX® Storage Step Stool. This compact, portable tool box doubles as a step stool, so for someone 5 ft. 5 in. tall, the 13 in. step stool provides the reach of someone 6 ft. 8 in. tall. Thirteen inches doesn’t sound like much, but when added to a person’s height, it provides the advantage of handling those out-of-reach jobs. The 7.15 lb. step stool isn’t limited to DIY projects. Use it for the hard-to-reach items in kitchen cabinets or pantry shelves. The step stool also helps when reaching for linens and towels tucked away in closets. As a painter’s helper, the extra step means one step closer to painting trim around windows and doors. Outside the home, the Storage Step Stool is a handy stool for detailing a car’s wheels, as well as marine and trailer maintenance. It also adds an extra step around RVs, trucks, vans and SUVs. Unclasp the top of the WORX Storage Step Stool, and inside there’s a deep cavity of built-in storage. Beneath this storage bin is a shallow, pull-out drawer for storing frequently used tools and parts. Both the storage bin and pull-out drawer can be customized and outfitted with the tools and accessories necessary to tackle the job. 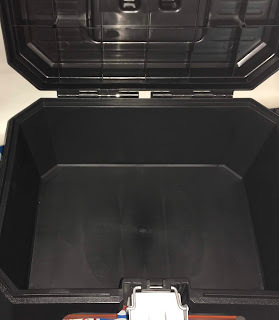 Other features include an integrated handle that lies flush in the lid for easy transport, a locking metal clasp to secure tools, a rear plastic metal hinge pin and sturdy rubber feet. The step stool’s top has a brushed surface for sure footing. Cassandra's Review- I am always into new projects in my older home and I am also kind of short, so this was a great two in one tool that I really enjoy using. I like the sturdiness and carrying around some of my more basic tools so that I do not have to go back and forth, it is also handy to sit on when I need to get a little lower to the ground.